SAF awakens people to the influences of design and increases the public's awareness and appreciation of the built environment. An architecturally informed population becomes involved in exploring options and is enthusiastic about its choices. The Seattle Architecture Foundation connects people to the architecture, design and history of Seattle. It provides entertaining workshops, dynamic tours, educational seminars and enthusiastic community advocacy. Through programs and civic engagement, SAF aims to empower others to make a difference in their community. 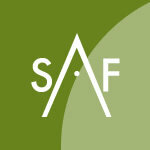 Through entertaining and informative programs and events, SAF educates people about their built environment. This develops greater understanding and appreciation of architecture, and enhances awareness of how design enriches our lives. Bolstered by an enhanced awareness of their built environment and a greater comprehension of the power of design, people are inspired to become engaged in the community through participation and advocacy. SAF provides an opportunity for people to enhance their design knowledge, allowing them to seek and recognize excellence according to their own values and experience. SAF collaborates with community organizations to increase community members' effectiveness and forward their vision.